Concerned about organizing your website’s posts and pages? No worry, category WordPress plugins will do it all for you! To make a healthy and interactive website, categorization of content is the primary task that one can do for a website. However, it is no longer difficult with a breeze of category WordPress plugins. 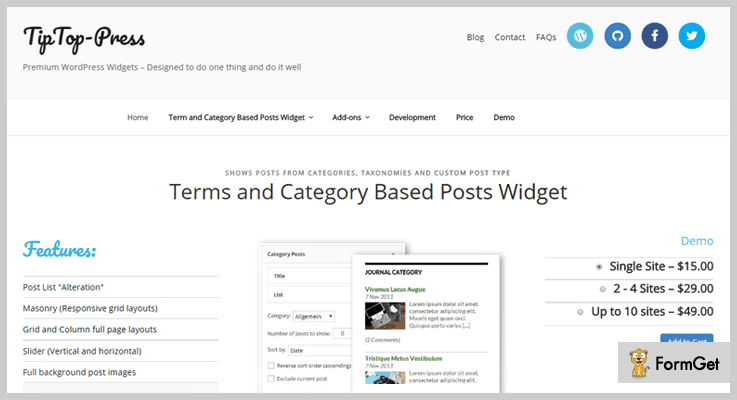 Category plugins for WordPress allows you to organize your posts and pages under certain categories. Moreover, you can also link your posts with each other, add different filters and functionalities. As a result, the front-end of your website looks more interactive, neat and clean. Consequently, it becomes more appealing. So, here in this blog post, we’ll talk about some premium category WordPress plugins as well as free category WordPress plugins. Keep scrolling and find the best fit for your website. dPress Plugins which is allows you to display the recent posts from certain category, custom post type, and taxonomies of your website. With the help of this plugin you can also display the posts on sidebar and other gadgetized sections of your website. Upto 10 Sites – $49. The plugin provides customizable shortcodes. Effective ways of filter your categories (all, exclude, and include etc). 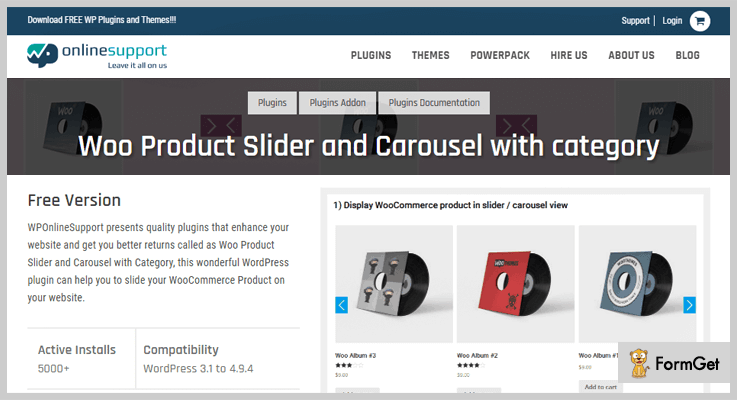 Woo Product Slider and Carousel with Category is a WordPress plugin with the help of which you can make your WooCommerce products slidable on your website. Along with that, you can also sort the products based on categories by just adding a simple category ID in the short code. You’ve the option to show/hide pagination and navigation. Facility to set the number of columns that you want to display. You have the facility to use your custom CSS for customization. It supports and can be translated to any language. Media Library premium category WordPress plugin enables you to use categories in the WordPress media library. And not only this, rather you can put a filter on categories when you upload media files. Withal, you can change the category of multiple items in bulk. Buy Media Library Categories Premium at just $20 from the Codecanyon.net. You can put a filter when adding a media. 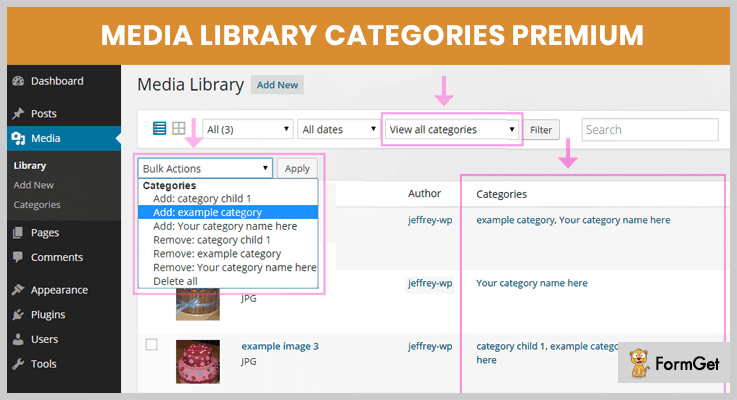 Set filter on categories when creating a gallery in the media library. Bulk actions to add or remove categories. It also facilitates with taxonomy filter. The plugin provides an easy interface to manage the categories of media library. 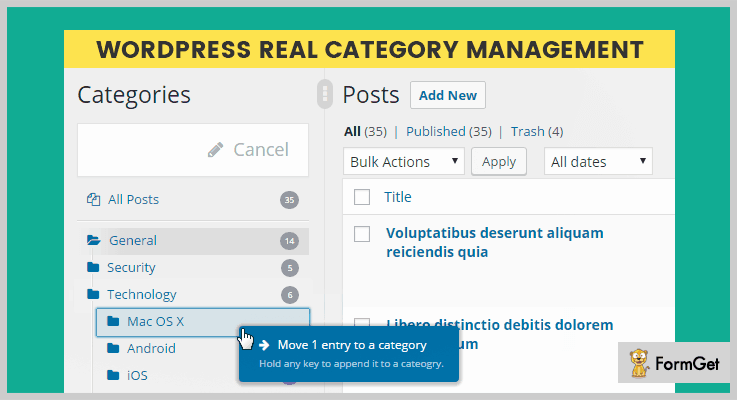 Real Categories Management provides an easy and flexible way to organize all your categories of content within your WordPress website by its ultra fast organisation mode . This plugin not only manages your category but also display them in a tree view or you can also design your custom category order. Get this plugin at just $18 from the Codecanyon.net. Drag and drop feature to organise your posts. No more irritating page load time while switching and exploring the content such as pagination etc. 100% compatible with touch screen devices. Works with taxonomies and WooCommerce products. Custom posts and orders for your front end. 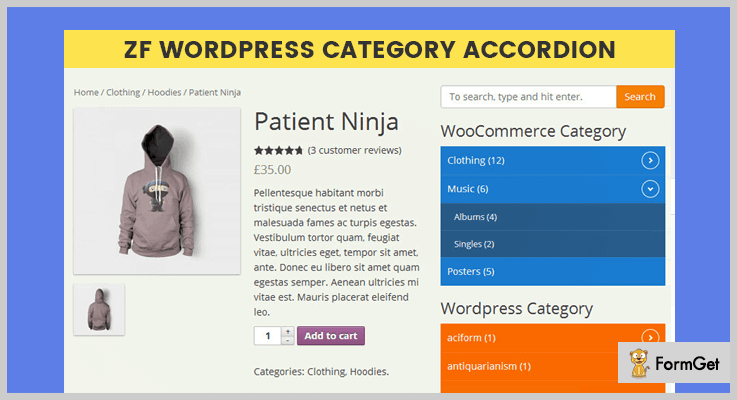 ZF WordPress Category Accordion plugin let you to showcase all your categories as WordPress category accordion and WooCommerce category accordion. The plugin comes up with shortcodes and widgets. It supports 7 color schemes to customize the look and feel of the display. Purchase this plugin from the Codecanyon.net at $15. Highlight the current category on viewing. Advanced category widget WordPress plugin provides you the full control over the display of your categories. It helps you to create category widget with images. Also you can display the desired category template on certain category page of your website whenever it is clicked. Grab this Category WordPress plugin for $6 only. You can add a description with each category. Set thumbnail height and width for displaying images in categories. Insert a URL and create a link for image. It shows last updated changes. You can add custom style and CSS scripts according to your need. List Category WordPress plugin helps you to list your posts by category using a simple shortcode in milliseconds. This shortcode accepts category name and ID and the order that you want to display. Moreover, this category WordPress plugin has a user friendly interface and along with that you can easily customize the appearance of your posts. 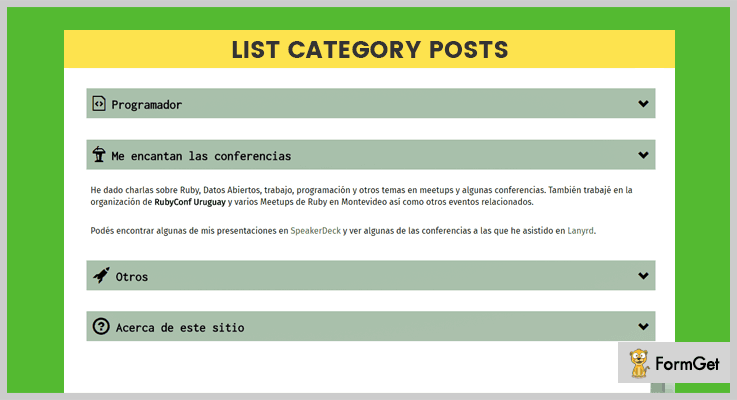 List Category plugin is a free of cost, grab it from the official WordPress site. You can post several categories of posts using logical AND / OR relationship. Provides complete guide of short-codes of different parameters and how to use them. You can define HTML tag and CSS script for a particular element. 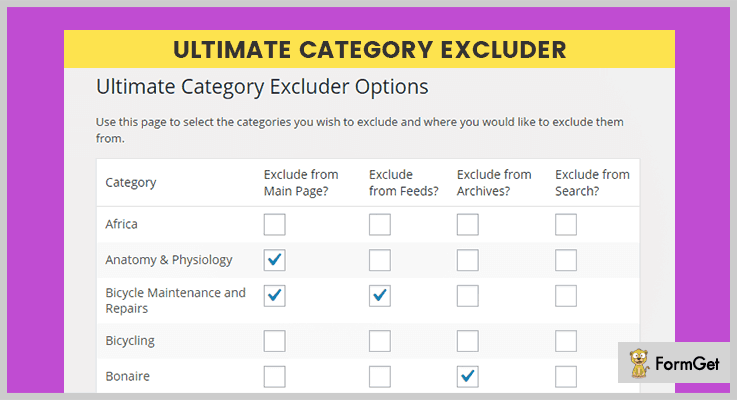 Ultimate Category Excluder enables you to exclude categories from your front end posts, pages, search, and feed that you don’t want to include. All you have to do is just click that category that you want to eliminate and you are done with that! It is free plugin available on WordPress.org. Tested up to WordPress version 4.9.4. That’s all we have about category WordPress plugins. Hope you’ve found the perfect match according to your need. So, the above mentioned category WordPress plugins are packed with features and currently used by a lot of websites. But, premium category WordPress plugins are highly recommended because they’ll provide amazing features in just affordable price. But, if you don’t want to spend a penny on that so you can go for Free category WordPress plugins. Did we miss out any category WordPress plugin? Kindly let us know in the comment section!